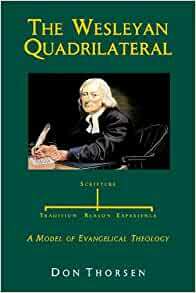 I’ve been reading a book on John Wesley’s theological method for my master’s course, and found an interesting section on his teachings and practice in regard to money. Wesley’s care for people extended beyond their spiritual well-being. In his time he was in the forefront of helping to alleviate the social ills of 18th-century England. His care for souls extended to the whole person, especially among the poor, the uneducated, the sick and the dispossessed – for example, slaves and prisoners. The poor received special attention. He provided basic medical care and wrote simple medical manuals to help those who could not afford professional healthcare. At Kingswood school he set up a benevolent loan fund for people with immediate financial needs, the only stipulation being that they should repay the loan within three months. Wesley preached what he practiced. Many sermons were intended to instruct on how to handle money. His best-known sermon dealing with money is entitled “The Use of Money.” In it Wesley exhorted Christians to “gain all you can, save all you can, and give all you can.” Wesley soon discovered that his followers were good at the first two principles, but ignored the third principle against surplus accumulation, which he considered the leading ill of Christian praxis. He was so concerned over the misuse of money and corresponding injustices that he published several sermons specifically warning about the spiritual danger to the person who does not give. Several stories are told about Wesley’s passion for good stewardship of money came about. First of all, he grew up in poverty. His father was a minister and John was one of 9 kids. Starting in 1731, Wesley reportedly began limiting his expenses so he would have more that he could give away. He records that one year his income was 30 pounds and his living expenses were 28 pounds, so he had 2 pounds to give away. The next year his income doubled, but he still managed to live on 28 pounds, so he had 32 pounds to give away. In the third year, his income jumped to 90 pounds. Instead of letting his expenses rise with his income, he kept them to 28 pounds and gave away 62 pounds. In the fourth year, he received 120 pounds. As before, his expenses were 28 pounds, so his giving rose to 92 pounds. Wesley felt that the Christian should not merely tithe but give away extra income. He believed that with increasing income, what should rise is not the Christian’s standard of living but their standard of giving. With increased income, what should rise is not the Christian’s standard of living but their standard of giving. One year his income was a little over 1400 pounds. He lived on 30 pounds and gave away nearly 1400 pounds. Wesley encouraged Christians to “gain all you can,” meaning that it is good to make a lot of money. However, he added that in gaining all you can, Christians must be careful not to damage their own souls, minds, or bodies, or the souls, minds, or bodies of anyone else. He prohibited gaining money through industries that took advantage of others, exploiting them or endangering them. I was challenged and encouraged by reading about Wesley’s attitudes and practices with money. I hope you are too. Let’s not stop with only being inspired – but may we be moved to action! Is there a change that needs to be made in the way you view or handle money? Previous What Happened That Made You Like This?